California auto accident claims involving marijuana use by drivers is on the rise. The legalization of marijuana in California may result in an increase in auto accidents that are caused by impaired drivers who have smoked or ingested marijuana prior to driving. A recent study from the Highway Loss Data Institute demonstrated that there has been an increased number of car accident claims in Colorado, Oregon and Washington since recreational marijuana was legalized in that state. When people are involved in accidents with drivers who are under the influence of marijuana, they may be able to recover damages by filing personal injury civil lawsuits against the impaired drivers. The Highway Loss Data Institute looked at crash statistics in Washington, Oregon and Colorado from before recreational marijuana was legalized and afterward. Recreational marijuana was first legally sold in Colorado in Jan. 2014 and six months later in Washington. Oregon followed in Oct. 2015. According to the study, there was a 2.7 percent increase in reported auto accidents in the three states since the legalization of marijuana. A spokesperson for the institute stated that they believe that the crash rate increase has been caused by the increased availability of marijuana. Critics of the study argue that it was flawed because it compared the three states with rural, farming states instead of to others with similarly large population centers and urban areas. The study compared claims in the three states to those in Idaho, Wyoming and Montana. The researchers did control for a number of different factors in the control states and in the marijuana states, including the number of vehicles on the roads, ages of the drivers and others. 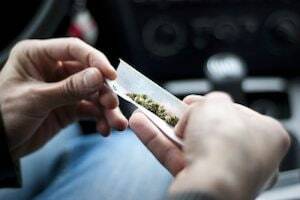 While more research needs to be completed about the legalization of marijuana and its effect on auto accident rates, it is important for people to understand that driving while under the influence of marijuana may cause accidents and result in liability from personal injuries or deaths caused by such crashes. Drivers owe duties of care to other people who are traveling on the roads around them to exercise reasonable caution. Driving under the influence of any substance that can impair driving, including alcohol, marijuana or other drugs, is a type of negligence. When drivers are negligent and their negligence causes injury accidents, the injured victims may hold them accountable through civil lawsuits. There are multiple categories of damages that injured victims may recover in lawsuits involving drivers who are impaired by marijuana. The types and amounts of damages will depend on the specific facts and circumstances of the individual cases. Plaintiffs may be able to recover economic and noneconomic damages. Economic damages are those that compensate people for direct monetary losses. These include such things as the past and future expected medical expenses, the past and future income losses and property losses. Noneconomic damages include such things as the pain and suffering that the plaintiffs have experienced as a result of their injuries, disfigurement damages, reductions in the quality of life and others. Economic and noneconomic damages are meant to compensate plaintiffs so that they are made whole again following their accidents. Punitive damages are another type of damages that might be available in egregious cases. Punitive damages are awarded in rare cases in order to deter both the defendants and others from engaging in similar behavior in the future. When punitive damages are awarded, they are given on top of the compensatory damages in added amounts. Punitive damages are only granted in California when the defendants acted with malice. California Civil Code § 3294 indicates that an act of malice is necessary before punitive damages may be awarded. Malice is more than simple negligence and includes some willful behavior. In Taylor v. Superior Court, the Supreme Court of California held that a plaintiff who was injured in an accident caused by a drunk driver could include the possibility of punitive damages in the pleadings. That case involved a drunk driver who had prior drunk driving accidents and arrests and who was on bail for another drunk driving charge at the time of the accident. The court found that the driver’s behavior in driving drunk and causing the accident could be considered to be malice because of his prior knowledge and history of driving while drunk regardless of the danger that he posed to others. It is possible that a driver who is impaired by marijuana could also be ordered to pay punitive damages. If the driver has a history of causing accidents while he or she is impaired, he or she may be ordered to pay punitive damages as well as compensatory damages to injured plaintiffs. People who are injured may want to talk to an experienced Los Angeles personal injury attorney A lawyer may be able to gather evidence that the driver was impaired by alcohol or marijuana and seek the recovery of compensatory and punitive damages if they are warranted.